The thing that stands out to me is that Badman cast bullets have neater lubrication applied within its grooves. Others I have used have the lube smeared all over the bullets' surfaces. Very consistent quality, shoot great! 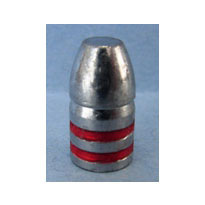 This is the second time I have ordered Badman bullets and I was satisfied with quick delivery and good product. I ordered a sample of these and was very impressed with accuracy and the impact on paper targets. Shot w/o any hick ups in my Glock 26 and my Walther p99. Have reloaded with the 1000 bullet order but haven't had a chance to shoot them yet. I'm confident they'll be great. I'm just getting into reloading, so I don't know if the problem is my loading or unjacketed bullets, but I find I am more accurate with my shooting with a jacketed bullet. When switching from jacketed to lead bullets you have to increase the bell on your case mouth. If you don't you will scrape off lube and lead when seating the bullet making them perform poorly. 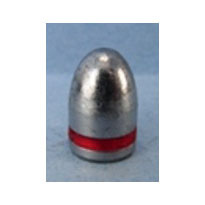 Lead bullets are .001 larger than jacketed. BULLETS ARE CONSISTANT AND HARD. LUBED WELL AND ARE ACCURATE WITH MINIMAL LEADING IN MY BARREL. I WILL BUY YOUR BULLETS IN THE FUTURE. 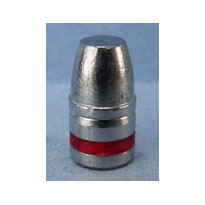 My wife and I use this bullet exclusively for .38 special load in our cowboy rifles. It is very accurate and loads beautifully. It is also great to put into the revolvers when you have a knockdown target in the stage where you have to use a pistol. I was having trouble breaking in my 9mm Kimber stainless target, it just didn't like to function with standard velocity 115 gr. copper loads. A nice healthy load of Universal behind the Badman 147 grainer makes it chug along like beautiful music with nice tight groups. It will get a steady diet of these from now on. This was my second order in 9mm. Quality is great, Service fast and easy and the price is great! Would recommend to any one who wants to shoot a lot at a fair price and they are a local outfit.